Honda has revealed images and further information on the new European CR-V due to be launched in the UK this October. Since it was first introduced in 1995, over five million CR-Vs have been sold across the world and the new, fourth generation has been comprehensively redesigned for the European market and builds on the success of its predecessors with greater quality, practicality and refinement. For the first time, the CR-V will be offered with a choice of both two- and four-wheel drive on the 2.0 i-VTEC model, while improvements to the petrol and 2.2 i-DTEC diesel engines have achieved a significant reduction in carbon dioxide emissions. 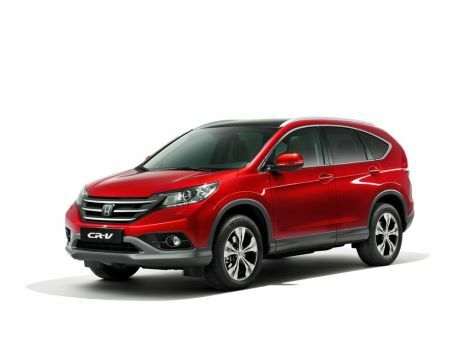 The new CR-V will be in UK showrooms from October 2012 and it will continue to be built at Honda’s production facility in Swindon. Prices, specification and further technical detail to be announced closer to the launch.